NBC Universal (NBCU) is rolling its Audience Studio targeting solution into Sky’s addressable advertising suite AdSmart. The combined global offering, still named AdSmart, marks the first joint advertising initiative since Comcast bought Sky in September 2018. Comcast has owned NBCU since 2011. Now entrenched in European and American markets, AdSmart is set to leverage set-top box data from over 50m households. Within the AdSmart offering, NBCU will also be launching an AI-powered contextual media planning tool for TV. It will place ads alongside relevant US programming to “enhance ad effectiveness and give consumers a more organic viewing experience,” according to the company. 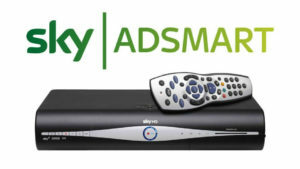 UK-based Sky has been expanding its AdSmart offering. It began a cross-European roll out of its addressable TV service in March 2017.